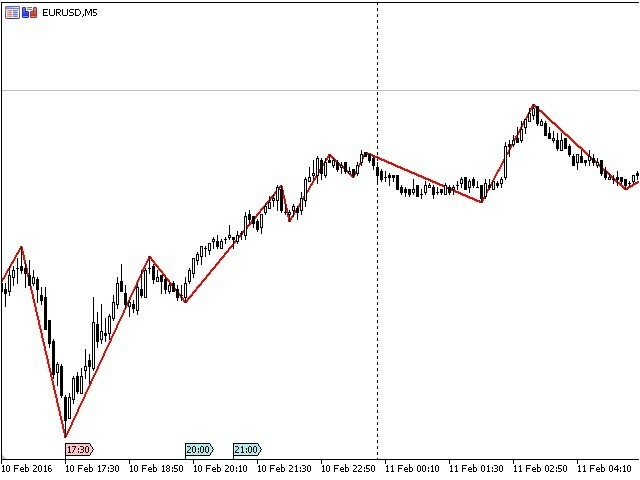 This Indicator is based on the well-known "Stochastic" indicator. 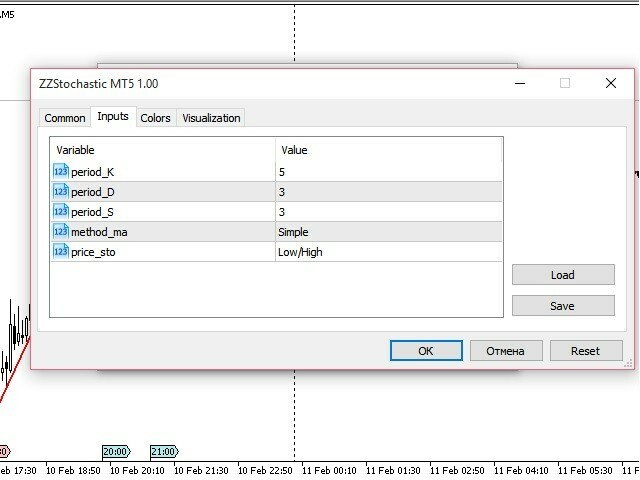 ZZStochastic MT5 is built on the same principle as the RSI TrendMT5. That is, it tracks the moments when the "Stochastic" indicator lines enter the overbought and oversold zones. Once that happens, it immediately starts searching for the nearest extremum. If "RSI TrendMT5" is best suited for filtering the potential entry points, the main purpose of the "ZZStochastic MT5" is helping to identify the important extremums, and not every single one, as the simple ZigZag does. The "ZZStohastic MT5" can also tell the direction of the current trend. So if the nearest extremum is above the current closing price, then it is a downtrend, if it is below the current closing price, then it is an uptrend. It should be noted that the extremums are not redrawn, as it happens with the simple "ZigZag" indicator.